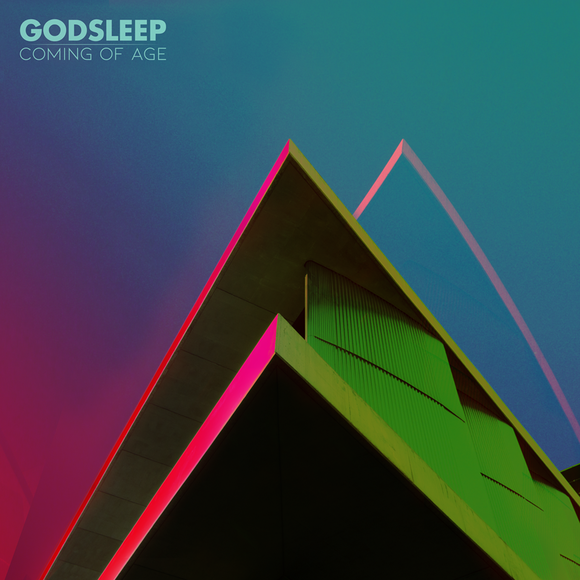 2019 seems to already kick off as great as the last year ended: In November 2018, Athenian heavy psych rockers Godsleep released their sophomore album ‘Coming Of Age’ in digital and CD formats, today the band finally revealed the pre-order and date for their hotly anticipated LP release! After Amie Makris recently took over the vocals, Godsleep started to record their album over the summer in 2018. Recorded at the Wreck it Sound Studios in Corinth, ‘Coming Of Age’ was produced and mixed by George Leodis and mastered by Brad Boatright at Audiosiege Studios, Portland, OR. To follow up the digital and CD release, ‘Coming Of Age’ will be finally released by underground cult rock label The Lab Records & Threechords Records on February 15th 2019. Formed in 2010, Godsleep have been working relentlessly to leave a big stamp in the current heavy rock pantheon. Having been characterised as one of the most promising bands of the heavy and psychedelic rock scene, the Athenian heavy rockers are made to be on stage. What they already successfully proved, including energetic live appearances at festivals all around Europe such as Freak Valley, Red Smoke or Rockwave Festival to name just a few, alongside numerous tour dates in support of their critically acclaimed debut album’Thousand Sons of Sleep’ (Rock Freaks Records, 2015). With ‘Coming Of Age’, Godsleep deliver a second full-length in the band’s most mature way to date. Having kept their sound’s core ingredients – heavy and fuzzy guitars, thick bass lines and powerful groovy drumming – Godsleep enriched their songwriting with the uniquely addictive vocals by new singer Amie, which varies from psychedelic howls and haunting melodies to throat-ripping edgy screams. Released via the legendary Greek underground rock record label, The Lab Records, in digital and CD formats yet only, a true heavy rock release wouldn’t be anything without being able to spin it on Vinyl. February 15th 2019 will finally see the LP release of ‘Coming Of Age’.